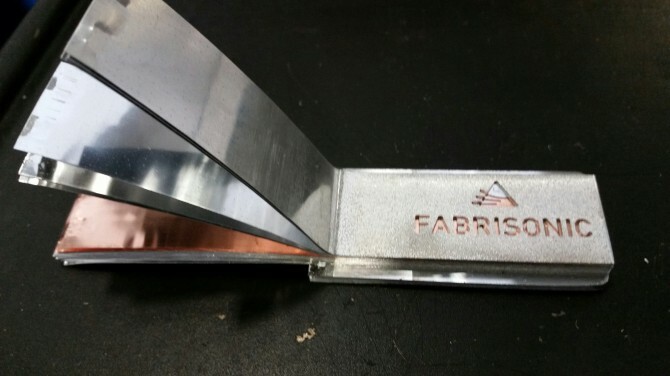 During the Rapid 3D printing trade show this month, Fabrisonic was noticed by Machine Design. 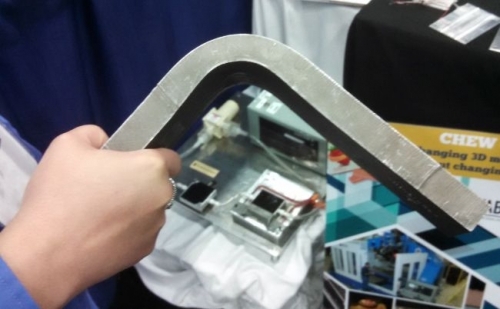 Included with a picture of a titanium/aluminum metal matrix composite, there was a short excerpt of what Fabrisonic can do for their customers. For the direct link, click HERE. The trade show was a wonderful experience for networking and meeting new friends in the 3D printing world. Next week Fabrisonic will be traveling to Detroit Michigan to exhibit at RAPID 2014. Come by and visit us at booth #1432 to meet with Fabrisonic President Mark Norfolk, or contact him at mnorfolk@fabrisonic.com to schedule a private meeting.